There are multiple advantages to being cared for by a physician who is “out-of-network”. Insurance claims for out of network care can seem confusing but do not need to hinder you from receiving the care you deserve. With the advent of “managed” care, large hospital-based and corporate medical practices, and with increasing governmental controls of healthcare, you, the patient, are progressively being taken out of the decision-making process. You should feel confident in being considered to be a patient and not a case, or a number. Decisions about your care should be made by you and your doctor, not by disinterested third parties, whose concerns are primarily financial. You should have the freedom of unrestricted referrals and treatment options. You deserve the opportunity to be listened to and to have your questions answered to your satisfaction, by your doctor. In summary, you are entitled to a physician who is your unbiased advocate. Each patient and each situation are unique. These guidelines are intended to be an outline, designed to assist patients in dealing with out-of-network insurance issues, but should not be construed as a substitute for professional and/or legal counsel. The best way to deal with insurance carrier claims, reimbursements, denials and under-reimbursements is to attempt to avoid problems in the first place. Dealing with illness, or injury, is stressful in itself. Dealing with insurance industry induced problems can add unnecessarily to that stress. Your insurance policy is a legal contract between you and your insurance carrier. You must possess a current copy of your policy. If you do not have one, you must write to the plan administrator, or your insurance carrier to request that a copy be sent to you. Under Federal ERISA law, these documents must be sent to you within thirty days of the written request. It is important to understand your specific policy’s out-of-network coverage provisions as well as services, which are and are not covered, since every policy is unique. If there is anything in your policy, which you do not understand, obtain clarification in writing from your insurance carrier. Your employer’s benefit supervisor, or human resources supervisor may also be valuable resources in this process. Historically, the more generous “usual, customary and regular” (UCR) reimbursement schedules were autonomously determined by the insurance industry itself, and were the basis upon which out-of-network claims were paid. In order to evade the recent harsh judgments contained in New York State court rulings, through which the insurance industry was sanctioned for manipulating UCR data to its advantage, most policies issued currently utilize the much lower reimbursements of the federal Medicare program, instead of UCR. There are, however, remaining major medical policies, which still utilize the more generous, legitimate, UCR payment schedules. Prior to undergoing significant diagnostic and therapeutic procedures, it is important to contact your insurance carrier to determine if pre-certification of necessity, or pre-authorization, is required. It is always important to obtain written confirmation of approval, or determination of the lack of necessity for approval, from your insurance carrier. In lieu of your carrier’s willingness to provide timely, written documentation, maintain a record of the date of contact, name and phone number of the person you spoke with, as well as your case number. Failure to do this may result in your insurance carrier’s denial of your claim. It is important to file your health insurance claims in timely fashion, in accordance with the timetable, as set forth in your policy. It is important to understand your policy’s schedules of reimbursement, out-of-network deductibles, “coinsurance” (percentage, or set amount representing patient’s responsibility) and when your policy’s coverage year ends, or initializes. Carefully read the explanation of (medical) benefits (“EOB”, or “EOMB”) for your insurance claim. Check to ensure that the data (dates, procedures, charges, etc.) that it contains are accurate. Make sure to carefully check all footnotes for accuracy. Despite insurance companies’ never processing claims without all applicable procedure (CPT) and diagnosis (ICD) codes being provided to them, they rarely bother to include those same codes on their EOMB’s. It may be necessary to contact your insurance carrier to permit you to cross-reference each line item on the EOMB, with its corresponding CPT code, which they utilized in the processing your claim, as well as so-called “modifier codes” for bilaterality (both sides), intensity, or special considerations (when applicable). You may need to enlist the assistance of your physicians’ office staff, for verification, once you have received this information from your insurance carrier. If you still cannot understand the basis for your carrier’s reimbursement, it is appropriate to consult your insurance carrier, or company’s benefits manager for assistance. When you contact your insurance carrier, it is always advantageous to speak with a supervisor as early as possible in the process. Supervisors are usually more knowledgeable than their clerks and often have far greater latitude in making adjustments to claim data and in overturning previous decisions. Your physician’s office staff can assist you in providing documentation and support regarding the services at issue. 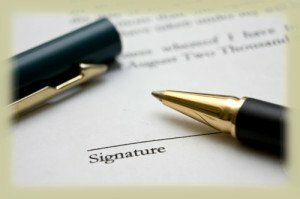 Because of the privacy restrictions contained in Federal HIPAA legislation, your insurance carrier may refuse to discuss your claim with any third parties, including the very physician’s office which may have treated you and which provided the documents necessary for you to have filed the insurance claim at issue. You may be required to provide a written HIPAA-compliant release to your insurance carrier, prior to their agreeing to speak to anyone other that you about your claim. If so required, it is important to have the insurance carrier provide you with its own HIPAA-compliant release form, so that it cannot deny the release’s acceptability. Under ERISA, a specific reason for denial must be stated in language that would be understandable to the policyholder. Read denial notifications carefully and respond before any stated deadlines. It is common for carriers to deny receipt of critical documents, so keep dated copies of fax transmissions and certified/return receipts affixed to all copies of your written correspondence, that was sent by mail. The appeal process exists to enable you to present information to convince your insurance carrier that your claim merits payment. As part of your appeal preparation, you must maintain a file containing your insurance policy and all relevant pre-certification, claim and denial documents. Keep careful notes on dates, times and content of all telephone conversations and even attempts to reach carriers, including messages left by you. In the event that the carrier upholds its own denial, obtain this determination in writing. You will be entitled to a second level of appeal, reviewed by a different person(s) at the insurance company. If the denial is upheld for a second time, an external review may be offered by some carriers, in which an outside panel of physicians, nurses and/or attorneys may review your appeal. permits the filing of web-based complaints regarding insurance claim denials. These put the insurance carrier on notice that an important governmental regulatory agency is working to investigate the denial and will mandate a specific response by the carrier within a stipulated period of time. With increasing restrictions on the practice of Medicine by the Federal Medicare program, including which services are covered and how often, an increasing number of physicians have decided to maintain high standards of care for their patients , who are over the age of 65, by “opting-out” of Medicare. This is a formal process, which requires the written approval of Medicare. Unfortunately, the Federal government decided not to permit physicians to select those patients from which to accept Medicare payment and those to treat outside of the Medicare program, based on patients’ means. Federal law requires that if a physician opts-out of the Medicare program for one single patient, he or she must opt-out for all of their Medicare patients. This provision of the Federal legislation was carefully crafted in order to discourage physicians from opting-out. Once opted-out, physicians can still see their Medicare patients, but those patients must sign a Federally mandated document called a “contract” and pay for the physicians’ services by themselves. Patients signing opt-out contracts are formally waiving their rights to submit a Medicare claim, but only for the services provided by that specific opted-out physician. The contract will have no effect on other physicians’ services, nor on any laboratory, or radiology tests ordered by the opted-out physician, for that patient, performed outside of his or her office, nor on hospital charges related to that physician’s care. Although most private “Medigap” insurance plans pay only a 20% share of Medicare’s low reimbursement rates, some Medigap policies will actually function as traditional Major Medical insurance policies, once they have been informed of the physician’s opted-out status and/or that Medicare has formally rejected or “denied” the claim. (to be clearly marked, “FILED FOR DENIAL DOCUMENTATION ONLY”) solely for the purpose of obtaining a formal Medicare rejection of the claim, and not for the purpose of obtaining a Medicare payment. Although a private Medigap insurer may initially reject such a claim out-of-hand, perseverance on the part of the patient may result in reimbursement for the claim. The most important issue in successful health insurance claim reimbursement is Prevention, but when your claim is denied, or under-reimbursed, Preparation and Perseverance will often turn the tables in your favor.